It’s almost fall and school is back in session. Southern Illinois University – Carbondale has a lot of new faces that choose to come here because of specific programs to get their degree. However some students chose SIU because of the food. The fall semester is full gear. Thousands of students moved in to the resident halls in late August. 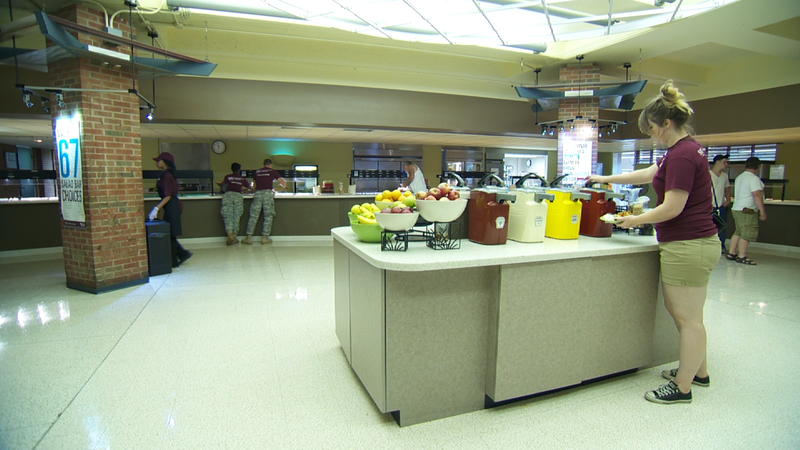 That means there are over 3000 hungry students visiting the dining halls multiple times a day. 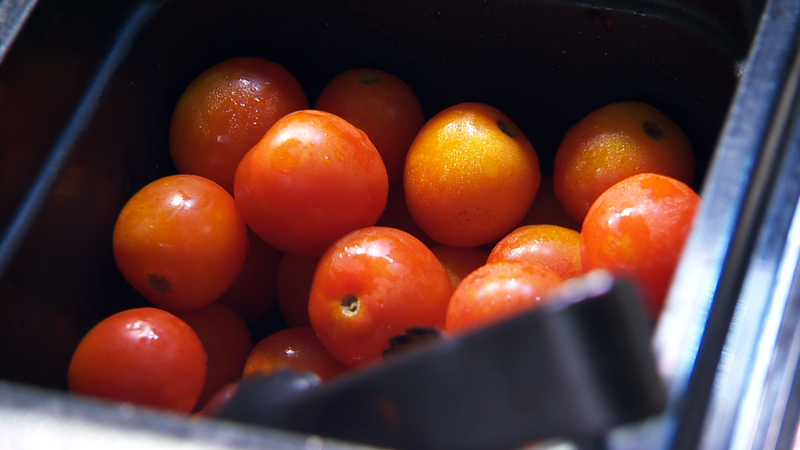 And according to associate director of housing culinary and nutrition services Peggy Connors, they don’t want the same stuff everyday, well almost everyday. “It’s a challenge, Chef Bill is in charge of the menus and he does a great job finding different products that are current that are new that students will like that are trendy, so we try to stay on top of what college students are eating and I must say the top ingredient that student still love are chicken strips. On top of that, there are some students that have some specific dietary needs. Almost 2 dozen have nut allergies, 7 students require gluten free food, almost a dozen that are lactose intolerant, and the list goes on. That’s a small population compared to the rest of the resident students, but Conners does not want them to feel left out. While Peggy was showing me around during move in week, Freshman Rachel Barish and her father Gene stopped by for a tour with Conners. 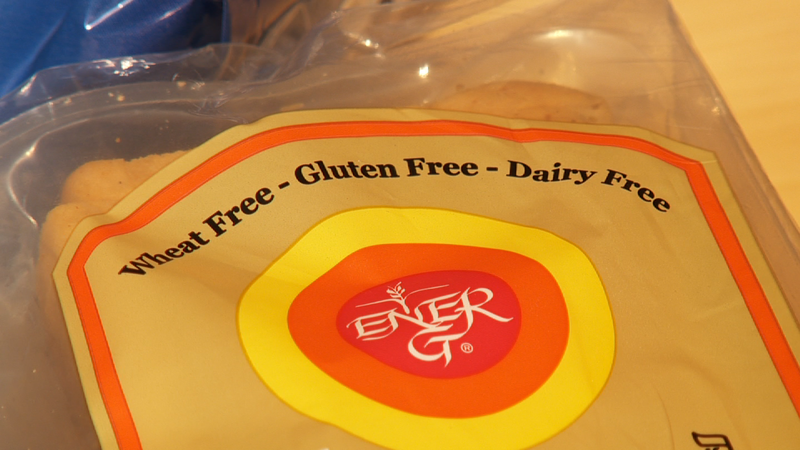 Rachel was diagnosed with celiac disease about 3 years ago. As a parent dropping off their child for their freshman year of college, Gene thought he would have a lot to worry about, but Connors quickly put his mind at ease. SIU wasn’t the only University the Barishes were considering, because they have more to consider than the classes. 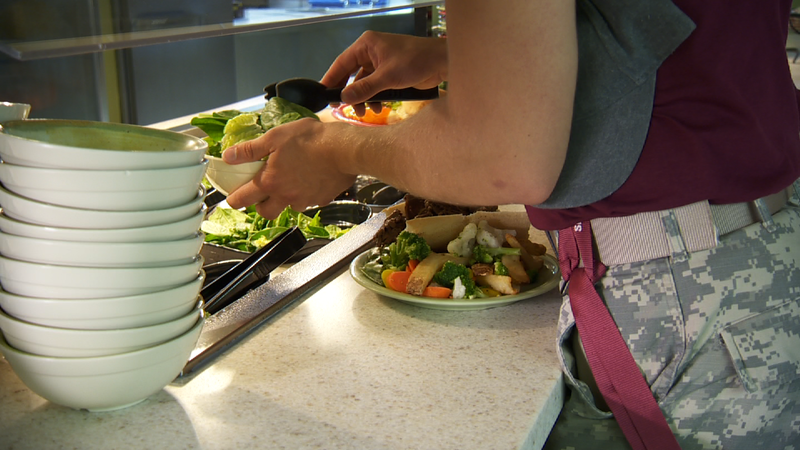 To give these hungry students access to food to meet their special dietary needs, the staff has to eliminate any chance of cross contamination. 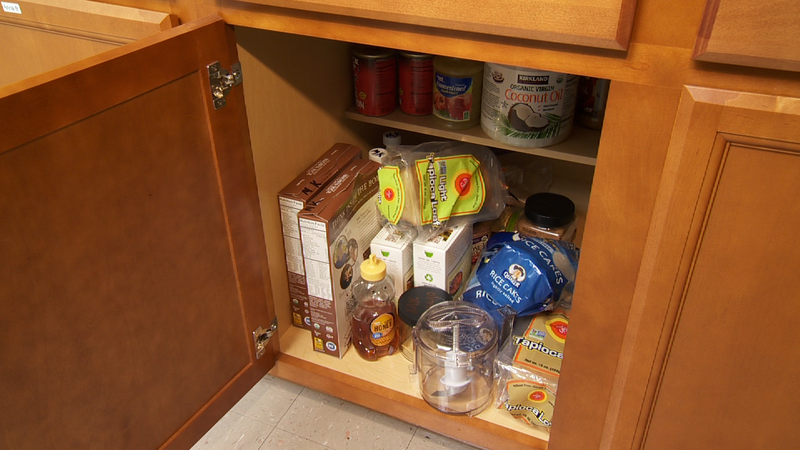 To achieve this, they have a separate pantry for these students and they all have their own space cabinets and everything has their name on it. That’s a lot to keep up with 7 days a week for two semesters. Luckily Connors can rely on her three student workers to help out while learning about special dietary needs. Graduate Student Jenna Lowe has been working with Connors for a little while now, but finds the work rewarding. 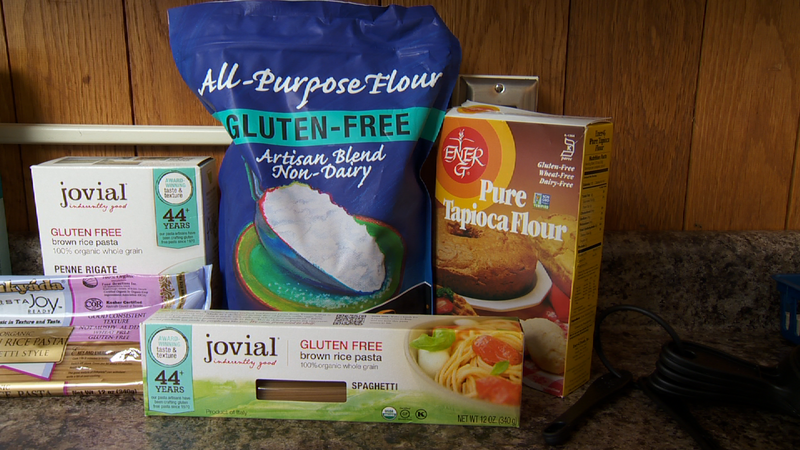 And because some students have severe reactions to gluten or other ingredients the pressure is on for Senior Kylie Sullivan to keep things organized. 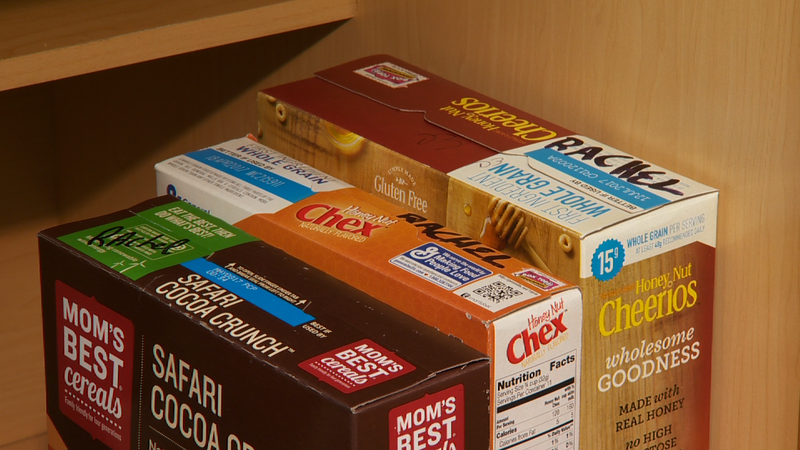 Knowing food could cause your child extreme sickness and difficulties could make it hard to set them off on their own in a cafeteria full of potentially dangerous options, but Gene felt at ease. The Barishes weren’t the only ones to have this kind of experience with Peggy and the dining hall options. 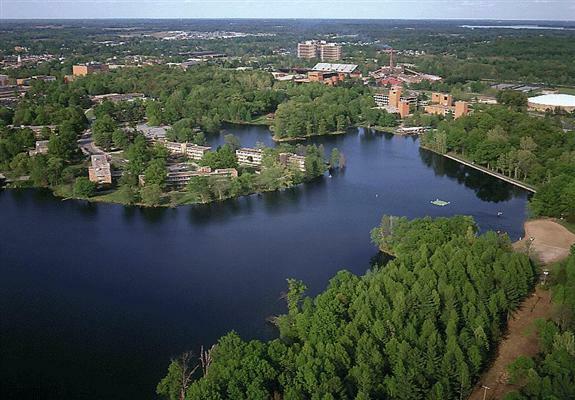 Officials at SIU-Carbondale say the project to remove sediment at Campus Lake is progressing. Xylem, the company hired to reduce the water level of the lake, will be on site Thursday at 8:00 am. In preparation, the Physical Plant will notch a section of the dam and install a box to hold the syphon piping in place during the dewatering of the lake. Corporate Donations Will Help Students in SIU's Automotive Technology Program. 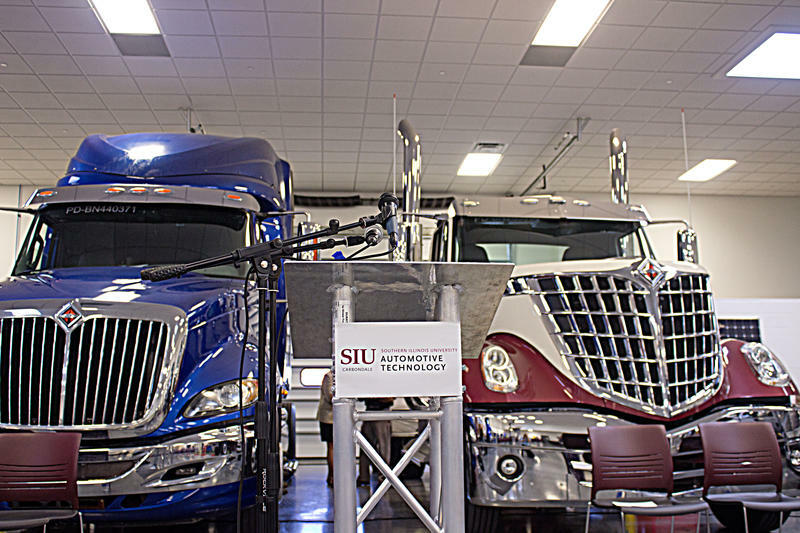 On Thursday August 25th, 2016 a group of public officials, SIU representitives, corporate leaders and almost 300 SIU Automotive Technology Students gathered at the Transportation Education Center near Carbondale to celebrate a recent corporate donation to SIU's Automotive Technology Program.